Playing Catch-Up: Fall Marathon Training, etc. And suddenly it was almost September. Where has my blogging gone? There’s a handful of different posts I’ve been wanting to/meaning to write, but whenever there’s time available to write them, I’d rather be sleeping instead. Most hours of my days have been super full all summer – which is great – but again, I’m left with too much to say and no blog posts to show for it. Life is hard, wah wah wah. But hopefully there’s still a few of you out there that read, so I’m going to try and get down a few updates before I’ve lapped myself too much. I’m training for a marathon, woo! Training for Philadelphia officially started 3 weeks ago, and I’ve got 12 more weeks to get myself in fighting shape. My plan this time around is to get uncomfortable; actually do the workouts that I’m always scared to do instead of mindlessly clicking off junk miles. I’ve got a longgg way to go before my body and mind are in the spot I want them to be on November 23, but luckily I’ve got both time and decreasing temperatures on my side. In the meantime, I’m really happy with the base I’ve got, and provided I stay smart and stay hungry (figuratively of course..I’m always hungry literally), I think I have a decent shot at making good progress over the next three months. The “plan” I’ve developed for myself is basically made up, with a little help from the Advanced Marathon Training schedule, which is what I used for Eugene. While I’d like to be the kind of person who can follow a by-the-book plan, it’s more important to me to keep certain things (like November Project) as a part of my routine. My schedule is focused on a key workout per week (unless it’s an off week), a long run, and overall mileage. I’d really like to peak around 60 miles per week, maybe a little higher, this time around— which I’m guessing shouldn’t be too hard since I’ve been around ~45 all summer. But generally I’m just listening to my legs and trying to ignore my head when it yells negative and discouraging thoughts at me. Admittedly the goals I have for this race are high, and it’s going to take a lot of umph to get there. I’m counting on fall weather, friends, and faith in myself to make it happen. 14er number 9 of the summer! 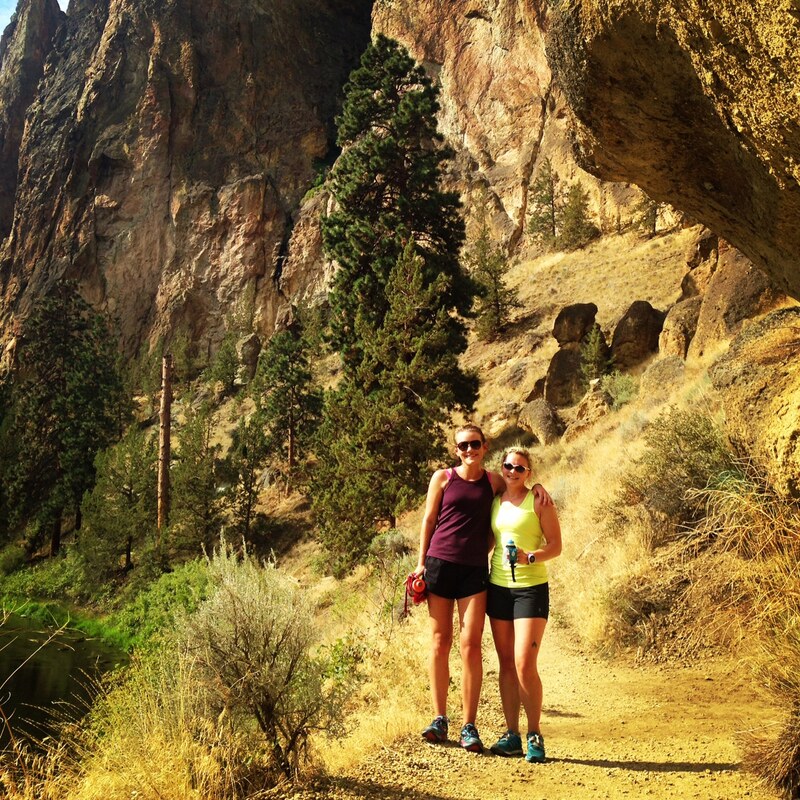 Smith Rock is running heaven. Generally, I’m feeling pretty good. Despite my lack of strength training of any kind and not much cross training (oops…), I’m pleased with how things are going so far. Mileage wise, my legs are very comfortable here, which gives me confidence for gaining some momentum before too long. Once the weather stops being so perfect I suppose I’ll get back in the pool/gym, but for now I’m trying to integrate as much at-home strengthening gimmicks as I can…which isn’t much, but it’s something. Luckily, my twice weekly November Project attendance has done remarkable things to the strength (and size…) of my booty, which is where a lot of my running problems have stemmed from. The camaraderie also does remarkable things for my soul, but we’ll talk about NP another day. Overall, I have no doubt that keeping it in my schedule is not only helpful, but necessary. Let’s see… what else? I ran a 5k for the first time in a year and a half (which you can see up there). I’ll recap probably in my next post, which needs to be followed by a post about the setting in which I ran said 5k: Bend, Oregon. I went to Bird Camp! Specifically, running summer camp for Oiselle runners that was all kinds of fun. River soak post 16 trail miles. Bliss! Oh, also, I’m running a half marathon this upcoming Monday, so I suppose I’ll need to work that in somewhere too. So you see, lots to talk about over here, and I’ll do my best to get it up. In the meantime, I’m really going to try and commit to weekly training recaps since they help me actually log the sweating that I do. Thanks for sticking with me friends, happy fall race training to you! 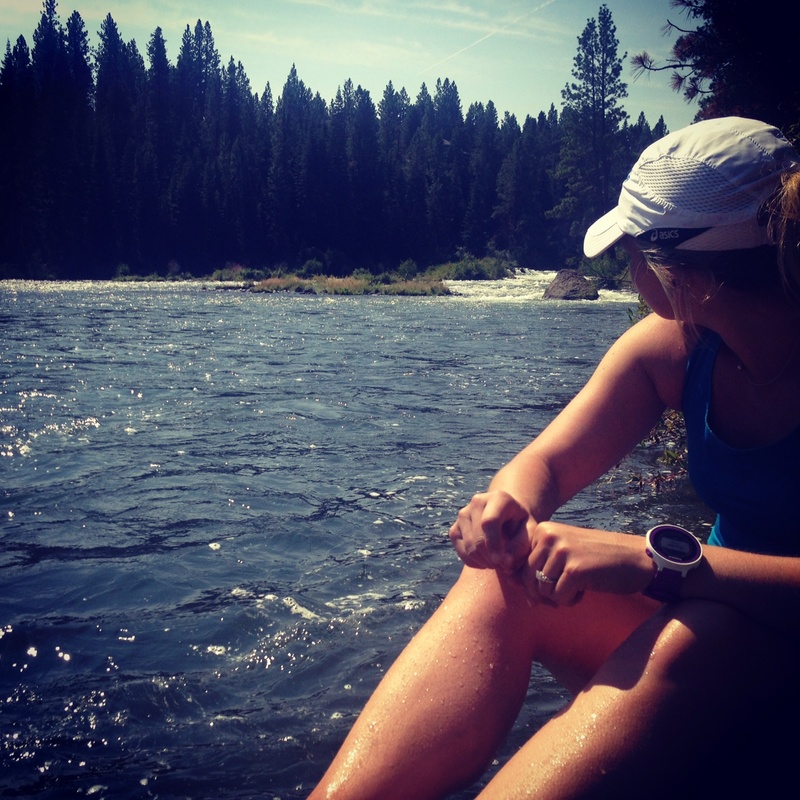 This entry was posted in Marathon, Training, Vacation on August 27, 2014 by runbirdierun. 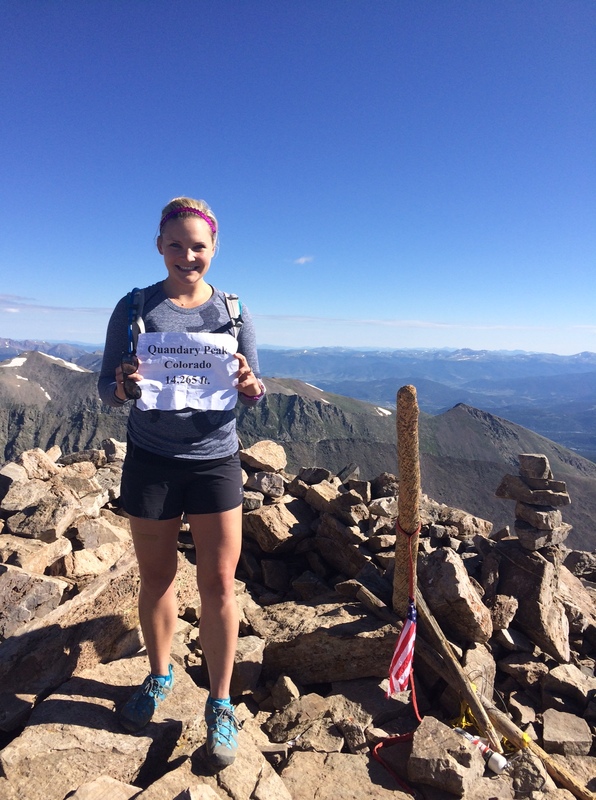 Nine 14ers in one summer is legit – nice job! 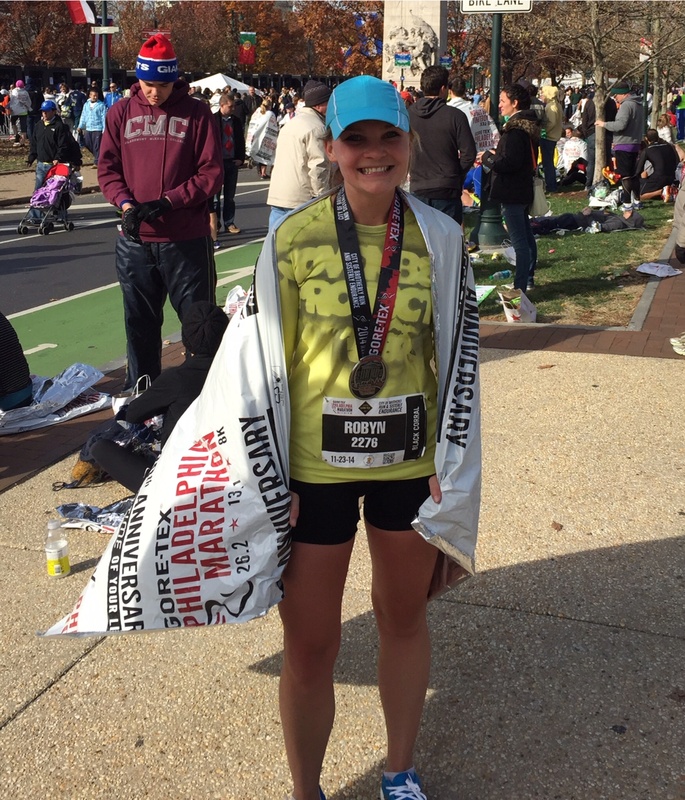 Good luck with your marathon training – I’ve heard great things about Philly!! I can’t wait to follow your training through Philly. You are going to ROCK it, lady! You’re doing great with training already! Those tempo paces are great and your mileage is already high! I keep toying with the idea of higher mileage ( I typically peak around 50 and keep it between 35-45) . With 15 weeks to go I’m at about 40 a week but I want to bump it up – thanks for the motivation! My race is dec 7 so I’m right behind you!